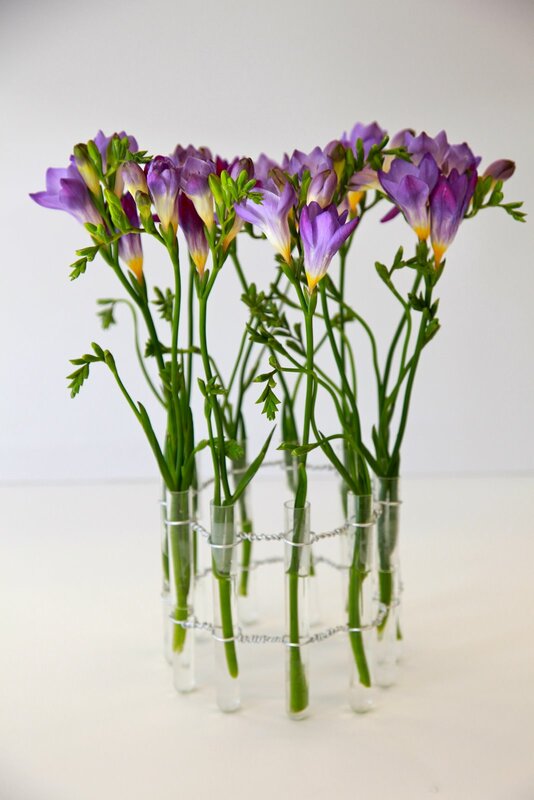 One of the things we like to do at Vida Flores is make our own vases. We like original and we love hand crafted. 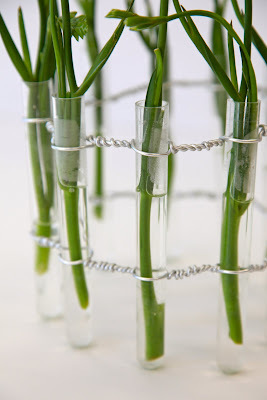 Here we have made test tube vases with aluminum wire. 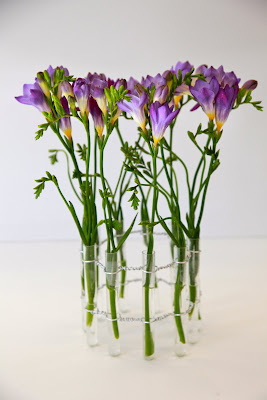 I love the simplicity and the way they don't distract from the flowers, mostly they are fun and make us smile!